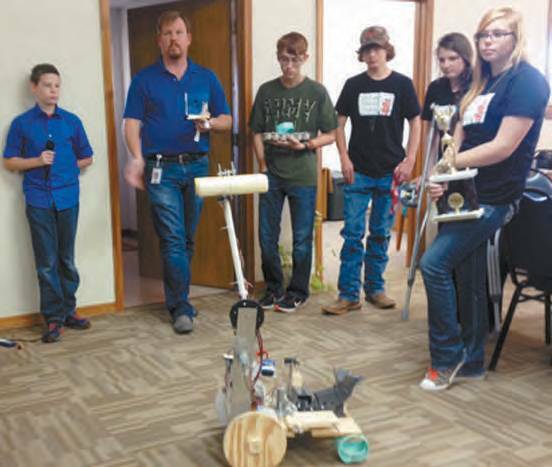 By Pat VerSteeg — This past week the Cheyenne High School Robotics Team was honored at Kiwanis/ Senior Citizens. Kiwanis President Stuart Sander introduced the award winning team and their coach Jon Robinson. Sander also announced that the Kiwanis Club will present the team with a $200 award to help with expenses to compete at Nationals in Fort Smith, Arkansas.